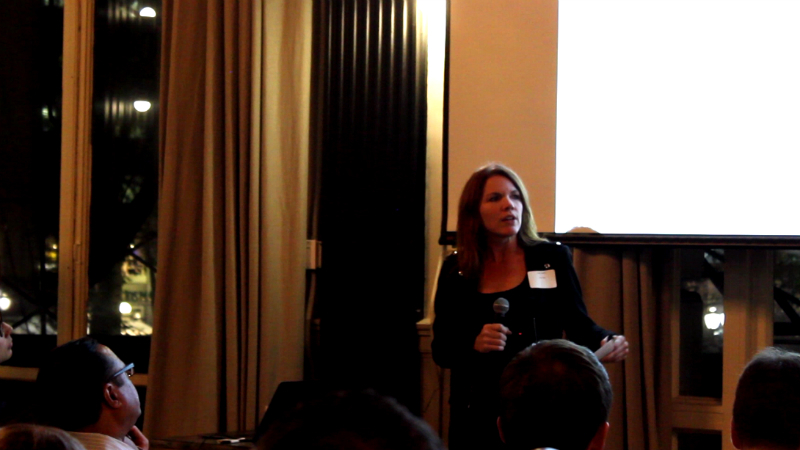 On the evening of November 14 the third Insurtech NYC event brought together a series of passionate speakers, sharing their insights on technology and innovation advancements transforming the insurance industry. The Insurtech NYC events team was formed in partnership between Montoux and American Family Ventures, with much appreciated support from our friends at the Global Insurance Accelerator for this evening, to serve a gap we saw in New York City. When we first started running this event in 2017, there was a distinct lack of obvious places for carriers and insurtechs to come together, network, discuss issues and learn about key innovations in a neutral setting. Now, a year on, we’re thrilled to see that we’re still hitting the mark. Once again our event quickly sold out and grew a substantial waiting list. It’s so good to see a growing interest in the insurtech community we aim to nurture with this event, but it’s unfortunate we couldn’t fit more people on the list. We’ll definitely be exploring options for larger venues for future events, and if you’re in NYC we invite you to register your interest in Insurtech holiday networking drinks here ASAP so you don’t miss out. Good news though - if you were unable to snap up a ticket, or you did join us but want to revisit some of the key messages explored during the event - stay tuned to the Montoux blog for video content from the night, coming soon! Spruce co-founder and CEO Patrick Burns leads his company to build innovative digital products for mortgage lenders, real estate companies, and homeowners, as well as offering title insurance. Patrick gave us an overview of the world of title insurance, and explained how despite the deflation of other areas of real estate with things like digitization of records, the cost of title insurance has continued to rise. 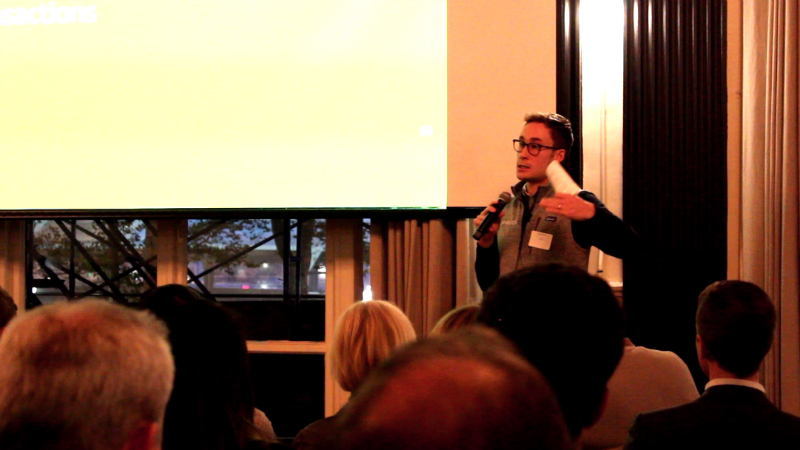 Patrick explained how Spruce can take a different approach, by changing the cost structure at an agency level and in a digitally driven fashion. Kate Smith is the senior associate editor at A.M. Best, working for the rating agency to cover the global insurance industry - with a growing focus on insurtech, and technology's transformative impact on the industry. Kate gave us an overview of the key trends she hears about from the insurance executives she interviews, and said there has been a tendency for insurers to see insurtechs as vendors rather than partners, but that there’s a definite shift away from fearing disruption, towards being open to change and embracing the idea of collaboration. Kate shared some statistics around changes in venture capital distribution, and said the executives spe has interviewed believe this is due to a slow down in new startups, as well as investors better understanding the technology and making smarter, more targeted investments. 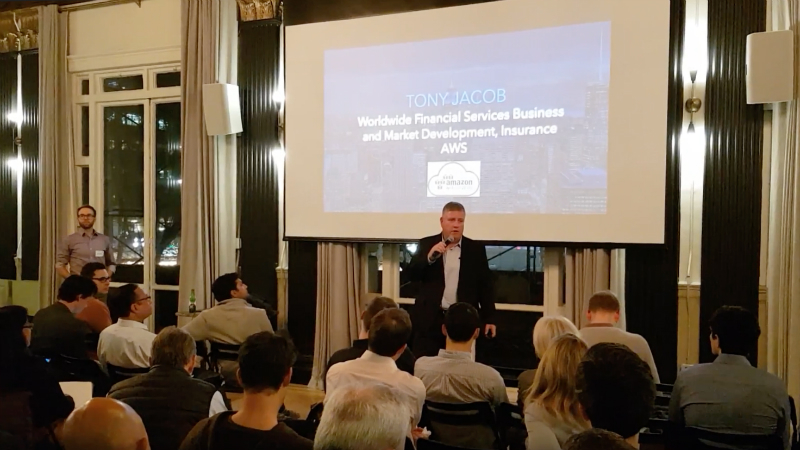 Amazon Web Services' Tony Jacob has almost 20 years worth of experience with software and solutions in the financial services industry. At AWS, Tony leads the worldwide business and market development efforts for the insurance segment of the Financial Services industry. Tony began his presentation by outlining the AWS origin story, and some of the patterns he is recognizing in the insurance industry. Tony has observed that one of the biggest things carriers are looking for are more digital channels for conversation and value adding services, to gather more information about their customers. 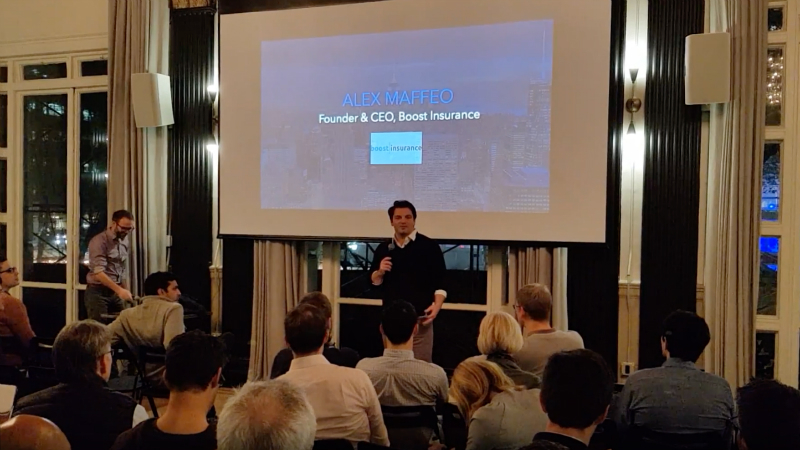 Boost Insurance founder and CEO Alex Maffeo is an experienced venture capitalist, with a background working for IA Capital Group, a leading fintech and insurtech-focused venture capital firm in New York. Alex founded Boost Insurance in order to help reduce go-to-market time and pain for insurtech startups and other digital platforms that wanted to launch innovative insurance programs. Alex explained how Boost eliminates the ‘noise’ for these startups, allowing them to build the technology and operate far more efficiently. Don't forget to register here if you would like to join us for future Insurtech NYC - including our upcoming holiday networking drinks!